The commission investigating the incident issued a statement which indicated that it has not completed its analysis of “many factors” which could have contributed to the accident on the 18th May. “For that reason, any assertion about the possible causes that caused the fatal accident is premature.” the commission asserts. 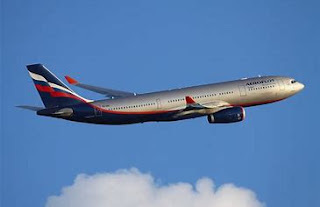 Damojh Airlines the Mexican airline at the centre of the accident had said in a statement Monday that the pilots of the Boeing 737 took off too steeply, a much higher angle than is usual before the aircraft crashed near the runway of the international airport in Havana. Damojh Aerolineas, which also operates under the name Global Air, says it had recreated the flight with the black boxes - the flight data recorder and cockpit voice recorder and a simulator, which demonstrated the pilots were at fault. Mexico’s civil aviation authority confirmed it was still investigating the crash with its own analysis and has not yet issued a finding. Damojh is desperate to regain its air operators licence in Mexico so it can resume flying operations.